Growth-Driven Design | A Smarter Website Redesign Process. The headaches, challenges, unreliable and inconsistent results we experience during a website redesign are the product of an outdated and broken playbook. 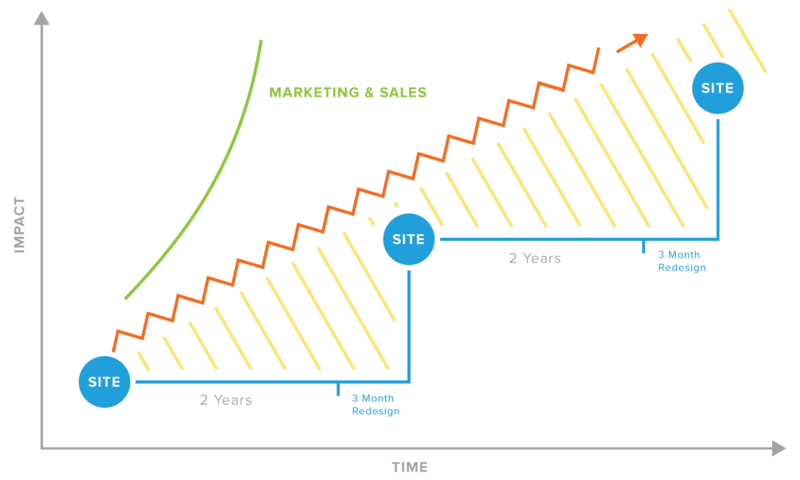 Growth-Driven Design is an investment that produces reliable month-over-month growth. Your website becomes stronger as you continue to measure, iterate and act. Growth-Driven Design is built on-top of the SCRUM agile process and weaves together various concepts into a comprehensive and highly effective web design methodology. "The traditional web design model is totally broken. Growth-Driven Design is the new gold standard for delivering results and bringing measurable business value to clients through web design." ""GDD has not only impacted our bottom line, it has helped us streamline our process, avoid scope creep, and strengthen client relationships. It is becoming clear that GDD is a true value differentiator that will play a key role in the survival of many agencies in the future.""